Gallery officials want its property treated as one campus. Planners for the project knew they needed waivers from Buffalo's Green Code, which regulates development in the city. The list was presented to the city Planning Board on Monday, although any decisions on the waivers will be made by the Zoning Board of Appeals. In a meeting of the Common Council Legislation Committee, gallery lawyer James Magavern explained the reasons why the Council needs to change the century-old law controlling the site for the second time. 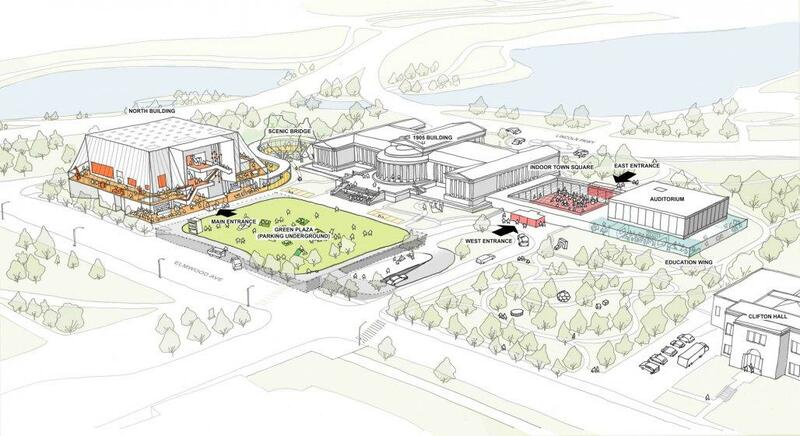 "Irouqois Drive on the north, Elmwood Avenue on the west, the south boundary of Delaware Park on the south and Lincoln Parkway on the east and treat that as a campus," Magavern requested, "and entrust the Fine Arts Academy with giving you a plan to integrate that whole campus into the park, better than ever." Rendering of the campus expansion. While much of the campus is legally-designated parkland, not all is. The gallery is looking to have the entire site handled as one piece of property for this project. Daniel Sack told the committee there are some major waivers in the plan. "They want to triple the the building coverage allowed on the site," Sack said. "They want to allow 360 percent more impervious lot coverage. 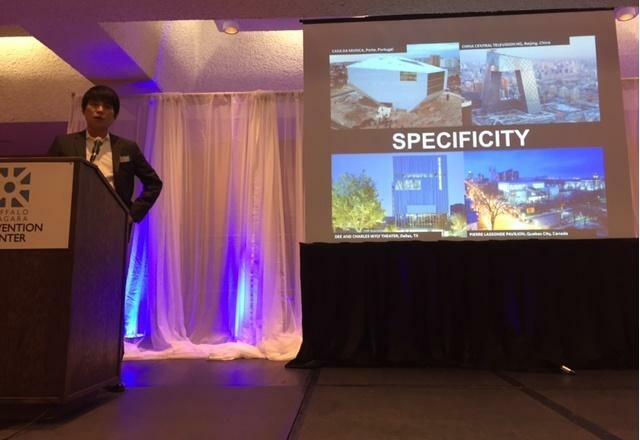 They want to allow 0' setback in a park where 15' is required now and they want to allow facade materials that are 570 percent more reflective than permitted by the Green Code." Sack was particularly critical of the above-ground tank on the grounds that will hold fuel for the gallery's emergency generator. The Legislation Committee sent the planned unit development phase of the project forward to the full Common Council on Tuesday without a recommendation. 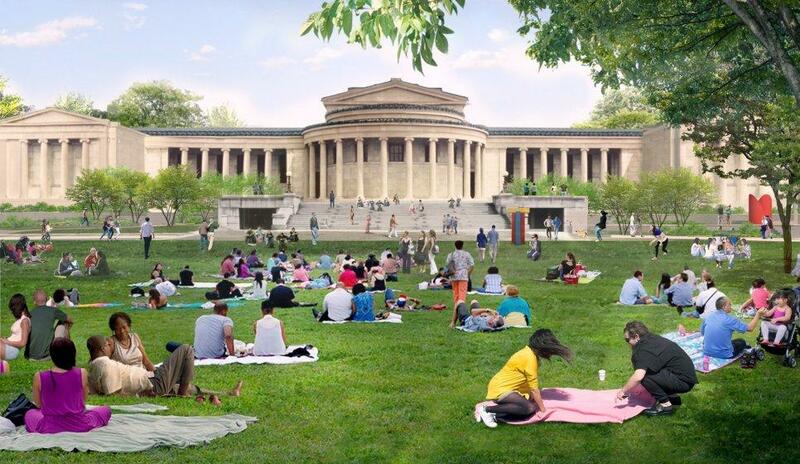 But members made it clear they want clarity on rules to ensure minority and women-owned businesses get a piece of the action on the Albright-Knox's $155 million project. "We had one before us before and we said that the hiring had to start here in the City of Buffalo and work its way out," said Majority Leader David Rivera said. "So I want some safeguard that the people that are going to be hired, minority and women-owned enterprises, will start here in the City of Buffalo and work its way out. It says reasonable commercial effort. I don't know what that means."